(Fargo, ND) – April 30, 2013 – The Great Plains Food Bank, a program of Lutheran Social Services of North Dakota, received a $3,000 grant as part of the Restaurant Community Grants program from the Darden Foundation, the charitable arm of Darden Restaurants Inc. Funds awarded will support the Great Plains Food Bank’s perishable food recovery efforts in the Fargo-Moorhead and Bismarck-Mandan communities. 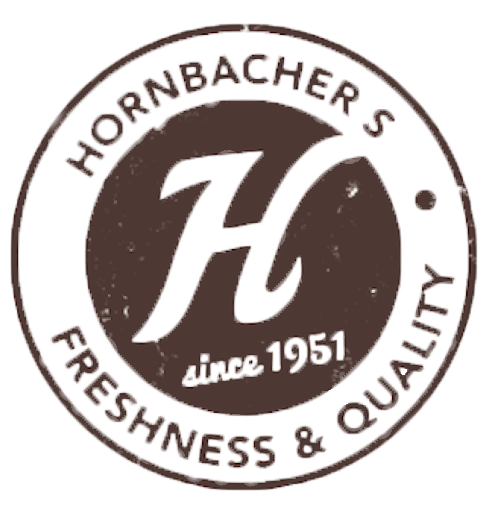 This effort rescues surplus meals, produce, dairy, meat and bakery items from restaurants, grocery stores, hospitals and colleges and distributes it to food pantries, shelters and soup kitchens that serve the hungry and homeless. 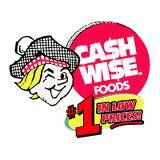 In 2012, enough food for more than 2.1 million meals was distributed. The Darden’s Restaurant Community Grants program, now in its second year, empowers each restaurant in the Darden family of brands to help award a $1,000 grant to support local community programs. 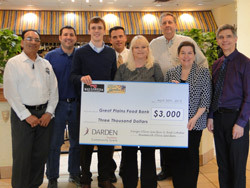 Darden’s Olive Garden and Red Lobster brands participated in the program for this award to the Great Plains Food Bank. 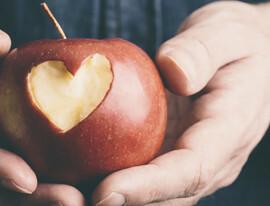 Nationally, Darden Restaurants will award more than $1.9 million to more than 850 exceptional nonprofit organizations in the U.S. and Canada. Nonprofits receiving grants support one of Darden’s three key focus areas: access to postsecondary education, preservation of natural resources and hunger. 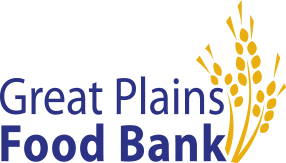 The Great Plains Food Bank engages community partners to end hunger. 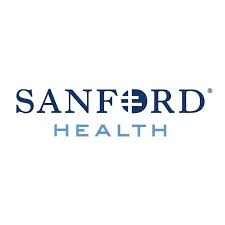 As the state’s largest hunger-relief provider, the Great Plains Food Bank partner network includes 259 charitable feeding programs operating in 101 communities across North Dakota and Clay County, Minnesota. 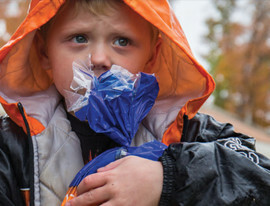 Celebrating its 30th year of service, the Great Plains Food Bank and its statewide partner network of food pantries, shelters, soup kitchens and other charitable feeding programs have distributed food for more than 100 million meals to children seniors and families in need since opening its doors in 1983. The Great Plains Food Bank is a program of Lutheran Social Services of North Dakota, a statewide social services agency serving thousands of North Dakotans in need with affordable housing, food, disaster recovery, counseling and therapy and other programs that strengthen individuals, families and communities without regard to clients’ race, religion, gender or economic status; and a member of Feeding America, the nation’s food bank network.